Up-level your work environment and employee productivity by enrolling in still’s corporate wellness program. Our flexible plans and variable engagement options allow you to customize your plan to fit your company’s needs. Reserve a time at the studio exclusively for your team. We will pair you with a meditation instructor to lead you through a variety of meditation and relaxation techniques each time you come. 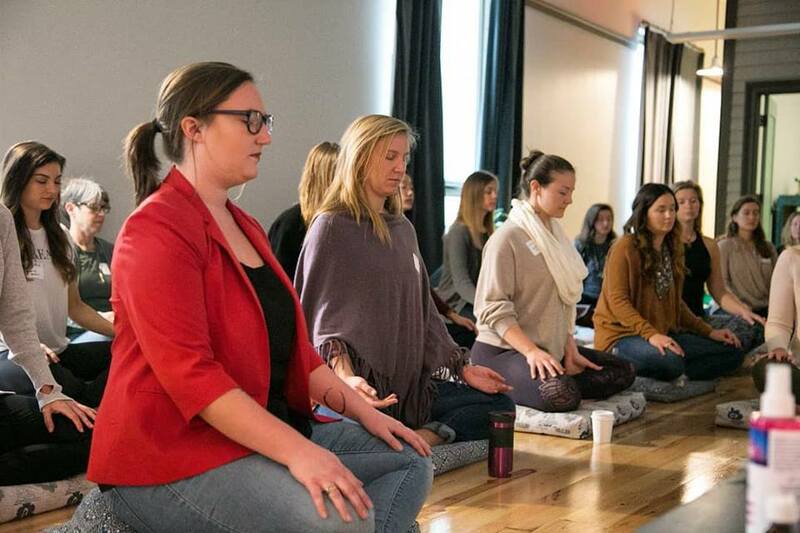 Let our teachers come to your office to lead meditation sessions. This option allows for minimum disruption during work time and enhances work environment. Perfect for the beginner of the day or midday breaks. Allow your employees to come to us on their own time. Still offers a variety of meditation and relaxation classes each week to accommodate varying schedules and interests.